Know the Danger Signs of a Potential Brake Failure. It's Important to check your vehicles Braking System Regularly. If someone asked you, "What is the most important system on your car or truck? ", what would you say? If you said, "The Braking System."... you would be right. We can do without many systems on the car, but one system we can not do without is the brake system. Brakes are one of the most neglected systems on our cars today. We often take them for granted. 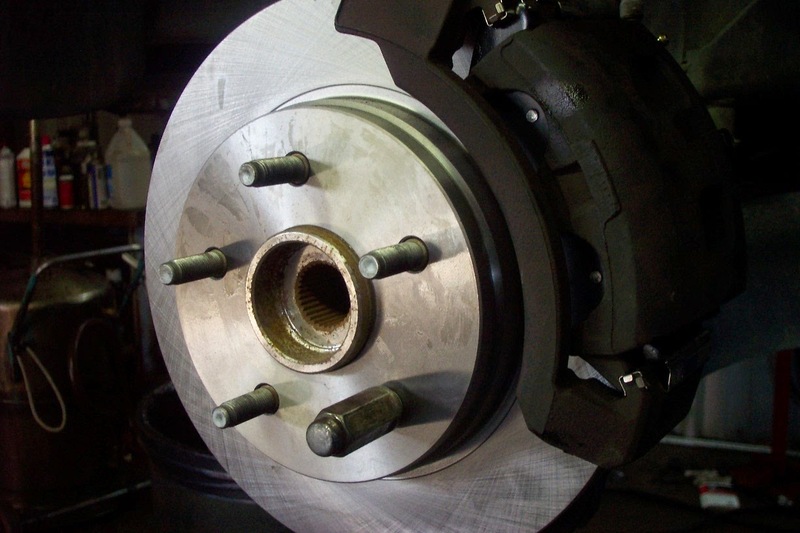 When it's time for brake repair, some people want the least expensive brake parts money can buy. This is one system you don't want to skimp on. OEM (Original Equipment Manufacture) parts, or better, should always be used when servicing your braking system. Never trust your brake system to anyone other than a Certified Brake Specialist, and pay a little extra for the quality parts and workmanship. The peace of mind knowing that the job is done right, is far more valuable that the few dollars you will save with cheaper parts and workmanship. A quality repair will insure the brakes last a long time. Some of the danger signs that your brakes need immediate attention are: Illuminated brake warning light, hard pedal feel, grabbing, low pedal, vibration while braking, metal to metal sound, and any other unusual brake noises. If you are experiencing any of these warning signs with your brakes, come to Kool Kar Auto Repair in Azle TX. If we perform your brake repair the check is free. Remember "Sixty to Zero is Important too".